is a British scholar and writer, whose interests and publications range from ancient Greek and Roman philosophy, literature, and culture to twentieth-century British literature, art, and society. Predominantly Scottish on his father’s side and part Cornish on his mother’s, he was born midway between Scotland and Cornwall, in Birmingham, England, on 26 April 1940. He was educated at Shrewsbury School (1953-1958) and Trinity College, Dublin (1958-1963). At TCD he was a Foundation Scholar and gold medallist in Classics (1960). After gaining First Class Honours and a Moderatorship Prize (1962), he did postgraduate research for a thesis entitled Lucretius: The Man and His Mission (MLitt, Dublin, 1965). Between 1963 and 1988 he taught Classics at the University College of North Wales, Bangor (now Bangor University), from 1977 as Professor. From 1988 he was Professor of Classics at Durham University. Because of increasing problems with his eyesight, he took early retirement from university teaching in 1995. He maintains his association with Durham University as Professor Emeritus in the Department of Classics and Ancient History and as a founder member of Durham Centre for Ancient and Medieval Philosophy www.dcamp.uk. Since 1995 he has lived on Foula, a remote and rugged island twenty miles (thirty-two kilometres) west of the Shetland mainland. The population is about thirty. There is no shop or place of entertainment; the electricity comes and goes; and the island, the windiest location in the UK, is frequently cut off by bad weather. Martin acquired a ten-acre (four-hectare) croft, where he was soon joined by two attractive brunettes with long hair – and still longer horns! 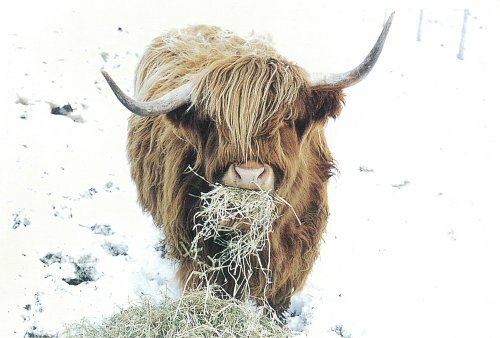 The pair of Highland cows, Frangag II of Glamis Castle (“Fran”), granddaughter of Macbeth, and the Empress Plotina, gained fans around the world and are the heroines (although not portrayed as Highlanders) of a charming and instructive children’s book in Portuguese written by Ana Vicente and illustrated by Madalena Matoso (Quanto Pesa um Quilograma?). In summer Martin’s fields are a spectacularly colourful carpet of wild flowers, and the croft is a sanctuary for numerous species of native and migratory birds. He enjoys the further blessings of no television and no mobile telephone signal. His chief recreations are walking, gardening, cryptic crosswords, and baroque music. Martin married Elizabeth Mary Dempsey (1935-1997) of Dublin on 4 April 1964. The marriage was dissolved in 1981. He has a daughter and a granddaughter. In “retirement” he has continued to be very active in research and writing. In 2007 he was appointed an Officer of the Order of the British Empire (OBE) “for services to scholarship”. Martin has an international reputation for his work on the Roman writer Lucretius (c.98-c.55 BC), who presented the doctrines of the Greek philosopher Epicurus in his epic of the universe, De Rerum Natura (On the Nature of Things), arguably the greatest philosophical and scientific poem ever written. His translation of it was first published by Sphere Books of London in 1969. In his award-winning book The Swerve: How the Renaissance Began (Norton: New York, 2011), Stephen Greenblatt of Harvard University describes how the access the translation gave him to Lucretius opened up a whole new world for him. The translation was re-issued in revised form, with extended introduction and notes, by Hackett of Indianapolis in 2001. The new edition of the translation, described by Lucretius specialist Gordon Campbell as “streets ahead of the competition”, has sold about 25,000 copies. Martin is also the editor of the Loeb Classical Library text of Lucretius (1975, with further editions in 1982 and 1992), published by Harvard University Press. ISBN 0- 674-99200- 8. The Latin text, the introduction, critical and explanatory notes, bibliography, and index are his doing, while the translation is that of W.H.D. Rouse (1924), revised to make it accord with the new text. This work too has been widely and highly praised. E.J. Kenney, former Kennedy Professor of Latin at Cambridge University, calls it “the best and most widely accessible of the editions available”. Most classical scholars spend their time studying Greek and Latin texts that have been known for many centuries. When Martin was an undergraduate student, he was inspired by stories of those who have discovered new texts, whether manuscripts unnoticed in libraries, papyri preserved in the sands of Egypt or the volcanic ash of Herculaneum, or inscriptions. He formed an ambition to follow in their footsteps – an ambition which over the past half century he has fulfilled beyond his wildest dreams. In 1967 he began to interest himself in Diogenes of Oinoanda, who, probably early in the second century AD, expounded the philosophy of Epicurus in a gigantic Greek inscription carved on the wall of a stoa (colonnade) in his home-city in northern Lycia, in the mountains of southwest Asia Minor (Turkey). Eighty-eight pieces of the inscription, of varying sizes, had been found by French and Austrian epigraphists late in the nineteenth century. The discoveries naturally attracted the attention of specialists in ancient philosophy, but no attempt to find more of Diogenes’ work, or even to re-examine the pieces already discovered, was made until 1968, when Martin made the first of many visits to Oinoanda. 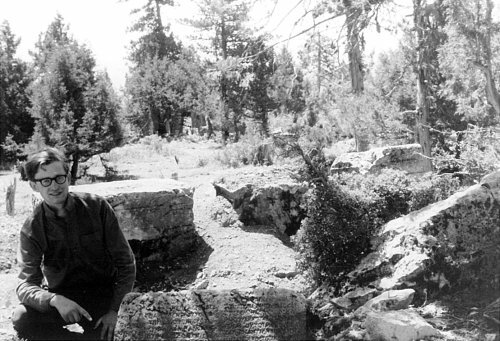 Working first on his own (1968-1973), then as a member of teams from the British Institute of Archaeology at Ankara (1974-2003), he recorded and published 135 more pieces of the inscription, bringing the total of known fragments to 223 and contributing several thousand words to Diogenes’ valuable exposition of Epicureanism, one of the most important and influential philosophies in the Hellenistic and Roman periods. He also rediscovered most of the texts found in the nineteenth century and published fuller and more accurate readings of them. Martin estimates that the inscription originally contained about 25,000 words, which makes it much the largest inscription known from the ancient world. It is unique also in presenting a complete system of philosophy. Diogenes tells his readers that he is “at the sunset of his life” and wishes, before he dies, to share with them “the remedies that bring salvation”, by which he means the philosophical “medicine” devised by Epicurus to cure the moral sickness that afflicts most human beings, by eliminating their unnecessary fears and desires and so enabling them to achieve the perfect peace of mind in which perfect happiness consists. He addresses not only his contemporaries, but also generations to come (“for they belong to us, although they are not yet born”). Moreover, he wants to benefit foreigners as well as Oinoandans – or rather “those who are called foreigners, although they are not really that, for … the whole compass of this world gives all people a single country … and a single home.” His philanthropic and cosmopolitan message, addressed urbi et orbi (to the city and the world), is remarkable and highly relevant to our age, as is his (and Epicurus’) conviction that scientific knowledge, properly applied, can rid us of fear, especially of the gods and of death. The wall that carried the inscription no longer stands. In late antiquity the stoa was either destroyed by an earthquake or deliberately demolished, and the blocks of the inscription were re-used as building material over a wide area of the city, which means that recovering Diogenes’ work is an exercise rather like that of assembling a massive jigsaw puzzle, with the extra difficulties that many of the pieces are damaged or missing. The inscription occupied several (probably seven) horizontal courses of the wall, and the lettering in the upper courses, which were above eye level, was larger than that in the lower ones. In 2007 further investigations at Oinoanda were begun by an international team directed by Dr Martin Bachmann, Vice-Director of the German Archaeological Institute in Istanbul. The new exploration of the site continued in 2008-2012 and, briefly, 2015 and 2017. Professor Jürgen Hammerstaedt, of the University of Cologne, and Martin (Smith) have collaborated closely and fruitfully in recording, editing, and publishing the eighty-two new pieces of Diogenes’ inscription that were found. More pieces not seen for well over a century were also brought to light. All the visible fragments, “old” and “new”, were recorded not only by the traditional methods of photography and the making of epigraphic “squeezes” (impressions obtained by using a brush to beat wetted filter paper into the letters inscribed on the stones), but also by 3D laser scanning. The 3D images are a valuable new tool of research, not least because they enable the wall of the stoa to be rebuilt in virtual reality. Another important achievement during the latest work at Oinoanda was the erection, in 2010, of a steel storehouse on the site to accommodate the pieces of the inscription and keep them safe for posterity. 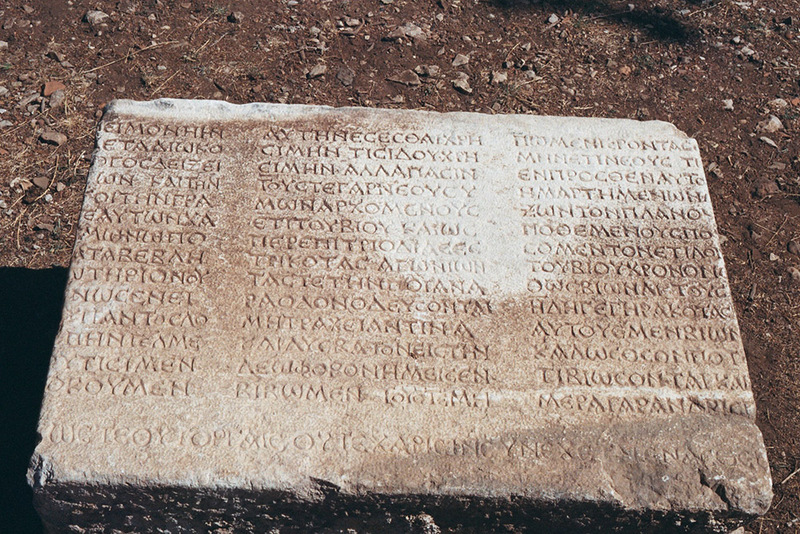 A BLOCK OF THE INSCRIPTION OF DIOGENES OF OINOANDA, RECORDED IN 2012. THE TEXT (NEW FRAGMENT 207), A CONTINUATION OF A PASSAGE FOUND IN 1885, IS PART OF THE PREFACE TO THE ETHICS. DIOGENES ASSERTS THAT HE HAS SET UP THE INSCRIPTION FOR THE MORAL BENEFIT AND SALVATION OF ALL, NO MATTER WHAT THEIR AGE. 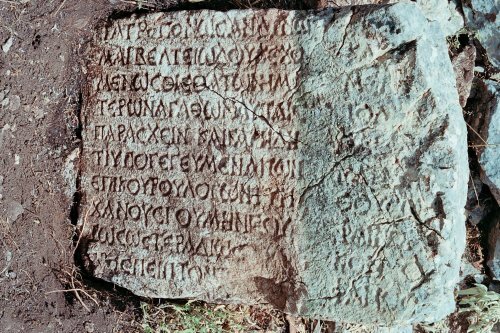 A block of the inscription of Diogenes of Oinoanda, recorded in 2010. The text (New Fragment 186) is part of a letter in which Diogenes expresses his readiness to help unnamed women who already have some acquaintance with Epicurus' philosophy, but have not yet achieved the moral goal of tranquillity of mind. Despite the sudden and untimely death of Martin Bachmann on 3 August 2016, the Oinoanda project, including work on Diogenes’ inscription, continues. What has been recovered of the inscription (305 pieces in all) is only a fraction, no more than a third, of the complete work, and there is a need for large-scale excavations to bring to light the buried parts of one of the most remarkable and attractive documents to survive from the ancient world – a document whose moral message is as relevant and important to us today as it was in Diogenes’ time. 1.Thirteen New Fragments of Diogenes of Oenoanda (Ergänzungsbände zu den Tituli Asiae Minoris 6). Österreichische Akademie der Wissenschaften, Wien, 1974. ISBN 3-7001- 0085-X. 2.Diogenes of Oinoanda, The Epicurean Inscription (La scuola di Epicuro, Supplemento 1). Bibliopolis, Napoli, 1993. ISBN 88-7088- 270-5. Lengthy introduction, Greek text, critical notes, English translation, explanatory notes, Greek indices, and illustrations. 3.The Philosophical Inscription of Diogenes of Oinoanda (Ergänzungsbände zu den Tituli Asiae Minoris 20). Österreichische Akademie der Wissenschaften, Wien, 1996. ISBN 3-7001- 2596-8. A companion volume to 2, containing drawings and photographs of the pieces of Diogenes’ inscription. 4.Supplement to Diogenes of Oinoanda, The Epicurean Inscription (La scuola di Epicuro, Supplemento 3). Bibliopolis, Napoli, 2003. ISBN 88-7088- 441-4. Presents new texts found, and new work done, after the publication of 2. Awarded the International Theodor Mommsen Prize for Herculaneum Papyrology, 2004. 5.Jürgen Hammerstaedt & Martin Ferguson Smith, The Epicurean Inscription of Diogenes of Oinoanda: Ten Years of New Discoveries and Research. Rudolf Habelt, Bonn, 2014. ISBN 978 3 7749 3927 1. “Diogenes of Oinoanda: News and Notes VIII (2013)”, Cronache Ercolanesi 44 (2014) 179-191. “Diogenes of Oinoanda: News and Notes IX (2014)”, Cronache Ercolanesi 45 (2015) 189-197. Co-author with Jürgen Hammerstaedt. “New Research at Oinoanda and a New Fragment of the Epicurean Diogenes (NF 213)”, Epigraphica Anatolica 49 (2016) 109-125. Co-author with Jürgen Hammerstaedt. “Diogenes of Oinoanda: News and Notes X (2015)”, Cronache Ercolanesi 46 (2016) 161-167. Co-author with Jürgen Hammerstaedt. “Foreword: The Importance of Diogenes of Oinoanda”, in J. Hammerstaedt, P-M. Morel, and R. Güremen (eds), Diogenes of Oinoanda: Epicureanism and Philosophical Debates, Leuven University Press (2017) xi-xvii. “Diogenes of Oinoanda: News and Notes XI (2016)”, Cronache Ercolanesi 47 (2017) 305-315. With Jürgen Hammerstaedt. “Diogenes of Oinoanda: News and Notes XII (2017)”, Cronache Ercolanesi 48 (2018) 199-206. With Jürgen Hammerstaedt. "Diogenes of Oinoanda: News and Notes XII (2017)", Cronache Ercolanesi 48 (2018) 203-210. With Jürgen Hammerstaedt. An award-winning documentary film, A Gigantic Jigsaw Puzzle: The Epicurean Inscription of Diogenes of Oinoanda, directed by Nazim Güveloğlu, was shot at Oinoanda in 2011. Other classical authors on whom Martin has published work include Sophocles, Epicurus, Philodemus, Dionysius of Halicarnassus, and Statius. In 1978-1985 Martin made five visits to Albania. At the time the country was largely closed to foreign visitors and had no diplomatic relations with the UK. Consequently there was little knowledge outside the country’s borders, even in neighbouring Greece, of post-war developments in Albanian archaeology. At the invitation of the Albanian Academy of Sciences and the Committee for Cultural Relations with Foreign Countries, Martin visited archaeological and historical sites in many parts of the country. In 1983, with the support of the British Academy, he arranged in Tirana for the delivery of an illustrated report on “Archaeology in Albania, 1973-83” by the Albanian archaeologist Zhaneta Andrea. After much editing, alteration, and adaptation by Martin, who became in effect its co-author, it was published in 1984 by the Society for the Promotion of Hellenic Studies and the British School at Athens in Archaeological Reports for 1983-84, pp. 102-119. Martin gave many lectures on Albanian archaeology and history in the UK. He also published a booklet entitled Classics in Albania (The Albanian Society, Ilford, 1984). Although Martin continues to be active as a classicist, especially in relation to Diogenes of Oinoanda, in recent years he has also produced a significant amount of work in other fields. Like the work on Diogenes for which he is best known as a classicist, much of his “modern” work is exceptionally original, bringing to light previously unknown texts, pictures, and facts. Examples are his edition of a collection of letters written by Rose Macaulay, his discovery of the teenage Dorothy L. Sayers’s important contributions to a pageant, his discovery and publication of portraits by Roger Fry, and his biographical studies, the first to have been undertaken, of Richard Williams Reynolds and Madeleine Jane Symons. Dearest Jean: Rose Macaulay’s Letters to a Cousin (Manchester University Press, Manchester, 2011), hardback. ISBN 978 0 7190 8521. Presentation, with introduction and copious notes, of Macaulay’s previously unknown letters to her first cousin Jean Smith, a talented but diffident and depressive poet, who was briefly an Anglican nun before converting to Roman Catholicism. The letters throw fascinating and often amusing light on Macaulay’s private life, unconventional character, and varied career, and also on the lively literary and social circles in which she moved. Dearest Jean: Rose Macaulay’s Letters to a Cousin (Manchester University Press, Manchester, 2017), paperback, with revisions. ISBN 978 1 5261 2300 8. ‘“Golliwog’, Wolley-Dod, Wollaston, and Others: Some Contemporaries of Dorothy L. Sayers at the Godolphin School, Salisbury”, Proceedings of the Dorothy L. Sayers Society 34th Annual Convention 14th -17th August, 2009 (Hurstpoint, 2010), 81-100. “Dorothy L. Sayers and the Somersham Pageant of 1908”, VII: An Anglo-American Literary Review 28 (2011) 79-96. The article reveals something unknown to Sayers’s biographers – that, when she had just turned fifteen, she was a major contributor, in poetry and music, to a three-day pageant at Somersham in what was then Huntingdonshire. “A Good Rector Playing a Bad Bishop: Henry Sayers in the Somersham Pageant”, The Dorothy L. Sayers Society Bulletin 226 (March 2013) 15-17 (e-version of the issue only). “‘Suicidal Mania’ and Flawed Psychobiography: Two Discussions of Virginia Woolf”, English Studies 95 (2014) 538-556. “Virginia Woolf and ‘The Hermaphrodite’: A Feminist Fan of Orlando and Critic of Roger Fry”, English Studies 97 (2016) 277-297. "‘New’ Portraits by Roger Fry (1866-1934) of Helen Fry and Vanessa Bell”, The British Art Journal 17, no. 3 (Spring 2017) 34-39. “The British Connection: The Secret Son of Brig. Gen. Daniel Harris Reynolds”, Arkansas Historical Quarterly 76, no. 2 (Summer 2017) 144-176. About Richard Williams Reynolds, who taught J.R.R. Tolkien at school and advised him later. Gives the first detailed account of Reynolds’s life and reveals that he was the illegitimate son of a senior commander in the Confederate States Army in the American Civil War. “Letters from Rose Macaulay to Katharine Tynan”, English Studies 99 (2018) 517-537. "Tristram Hillier's First Visit to Portugal", The British Art Journal, forthcoming. Martin's and Jürgen Hammerstaedt's article "Diogenes of Oinoanda: News and Notes XII (2017)" published in Cronache Ercolanesi 48 (2018) 203-210. Martin's article "Tristram Hillier's First Visit to Portugal" accepted for publication in The British Art Journal. Martin's article "Letters from Rose Macaulay to Katharine Tynan", available online since 2 July 2018, published in English Studies 99 (2018) 517-537. 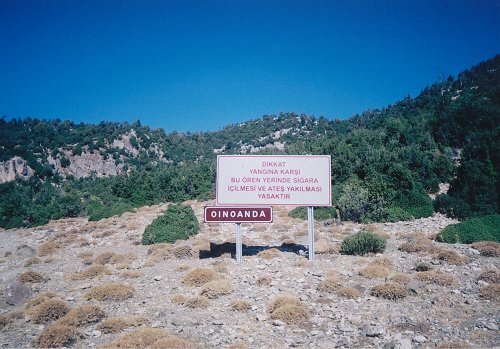 On 9 July 1968 Martin began his exploration of Oinoanda, in the mountains of southern Turkey, in search of the inscription of the Epicurean philosopher Diogenes. Over the past fifty years the number of known pieces of the longest-known ancient inscription has much more than tripled, from eighty-eight to 305. The 50th anniversary of the start of Martin's investigations at Oinoanda is the subject of a note in Cronache Ercolanesi 48 (2018) 224-225. The writer rightly compares the discoveries of new Epicurean texts made at Oinoanda with those made at Herculaneum, and points out that both Martin's 1993 edition of Diogenes of Oinoanda and his 2003 supplement to it were published in Naples. Publication of the six latest philosophical texts (Diogenes, New Fragments 214-219), found at Oinoanda in October 2017, is expected to be in the 2018 issue of the journal Epigraphica Anatolica. Edited by Jürgen Hammerstaedt and Martin, they include two passages that are of exceptional interest. One (New Fragment 215) carries the beginning of a previously unknown letter about the death of Diogenes’ son. The other (New Fragment 214) extends by two columns the dramatic account of a shipwreck contained in fr. 72. The forthcoming edition of the new passages will include a revised text not only of fr. 72, but also of two other passages that clearly belong to the same writing, fr. 70 and fr. 71. Martin’s article on “Letters from Rose Macaulay to Katharine Tynan” was published online in English Studies. The previously unpublished letters from Macaulay, a British novelist who also wrote poetry, to Tynan, an Irish poet who also wrote novels, illuminate both writers. They were written between 1913 and 1930. Publication details are on this website under MODERN, Articles. 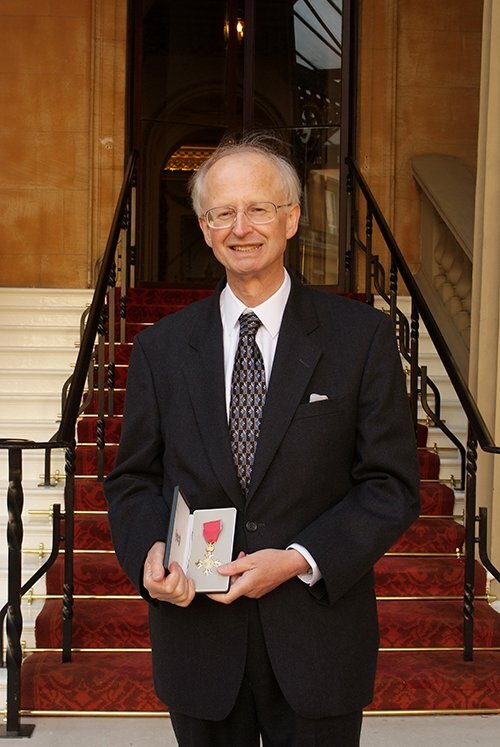 Martin became a Fellow of the Royal Historical Society (FRHistS). Martin’s book Madeleine Symons: Social and Penal Reformer praised in a review by Lorraine Atkinson in the Howard League for Penal Reform's Early Career Academic Network Bulletin 36 (July 2018) 35. Martin made an invited guest-contribution on Madeleine Symons to the blog of the TUC Library Collection at London Metropolitan University. Martin’s book Madeleine Symons:Social and Penal Reformer was published by SilverWood Books, Bristol. Full details on this website, under MODERN, Books. On the latest discoveries made at Oinoanda, see above, under 9 July 2018. Martin’s study of Richard Williams Reynolds, who taught J.R.R. Tolkien at school in Birmingham, England, was published in Arkansas Historical Quarterly. The most remarkable revelation is that he was the illegitimate son of a senior commander in the Confederate States Army in the American Civil War. There is a link to the article on this website, under MODERN, Articles. An updated paperback edition of Martin’s acclaimed book Dearest Jean: Rose Macaulay’s Letters to a Cousin was published by Manchester University Press. Full details on this website, under MODERN, Books. Martin’s article “‘New’ Portraits by Roger Fry (1866-1934) of Helen Fry and Vanessa Bell” was published in The British Art Journal. Full publication details and link on this website, under MODERN, Articles. Foula is a remote island and electricity comes and goes. We will try to get back to you as soon as possible.